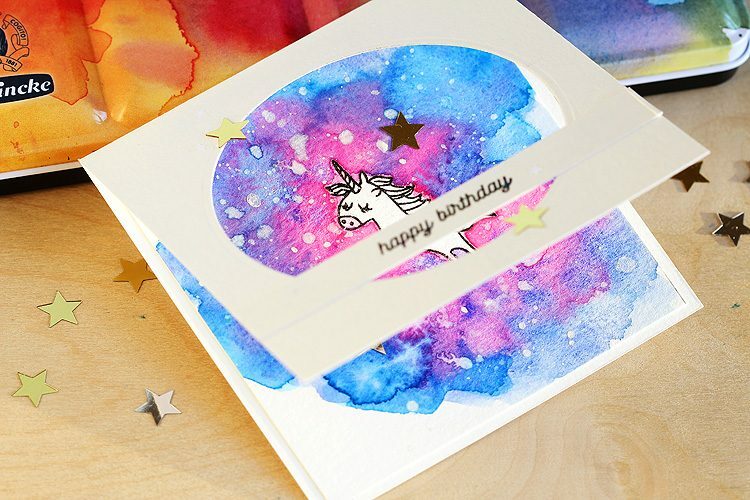 Check out THIS post for a blog hop with Technique Tuesday + prizes + a special offer for FREE stamps! 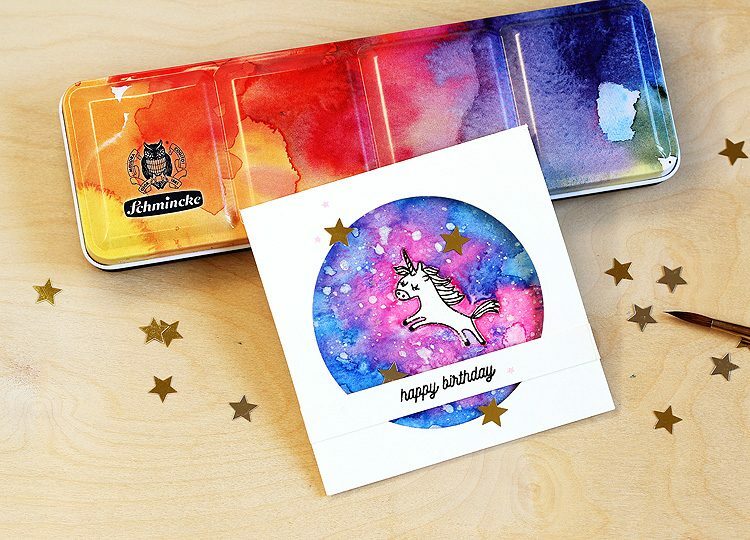 Then check out THIS post for another blog hop that I’m in to celebrate the release of the brand new Altenew watercolor brush markers! Now then, on to my post. 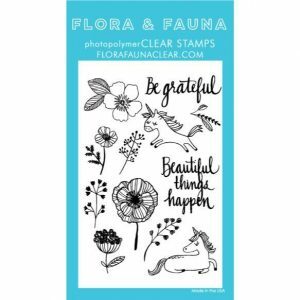 My sweet niece has a birthday coming up and she loves unicorns — so it was a no-brainer to make her a card featuring the Flora & Fauna Clear Unicorn Fields set! I can’t wait to use the set to make some autumn cards, too! 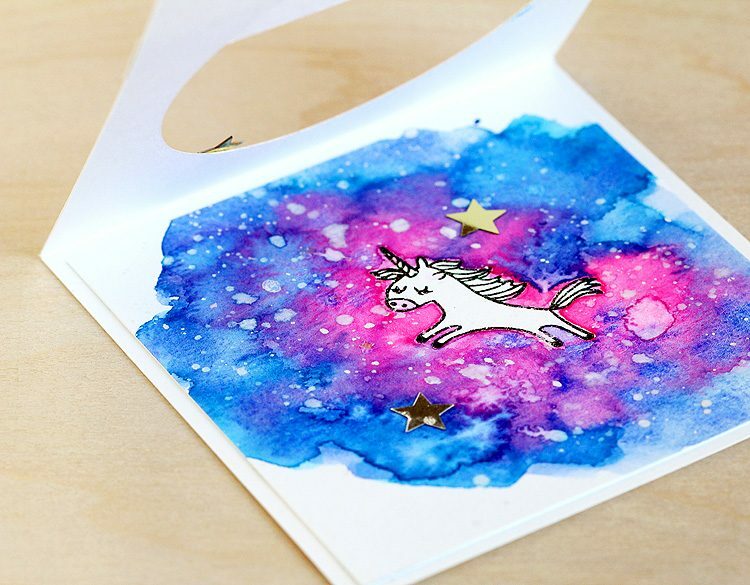 The card is pretty straightforward, I stamped the unicorn with black ink on Canson XL watercolor paper and then heat embossed it with sparkle embossing powder. Then I watercolored a galaxy background! First I colored around the unicorn with opera pink. Note: I used Schmincke watercolors since they’re in my rainbow paintbox, but Daniel Smith will work the same way! 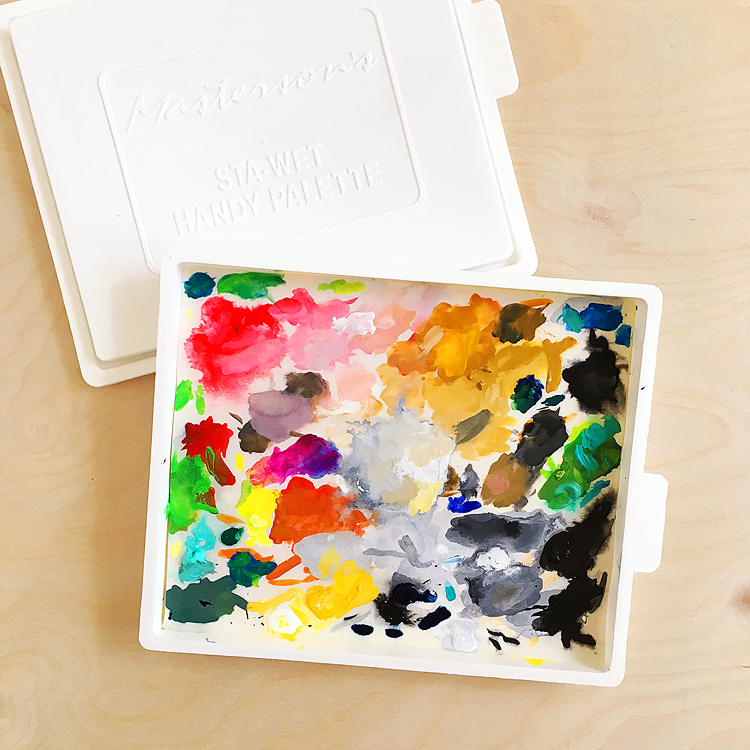 I’ve listed both sizes of Daniel Smith paints below for you! Personally I’d go for the larger size — you know you want to! Then I added puddles of French ultramarine and phthalo blue — love the granulation in that French ultramarine! 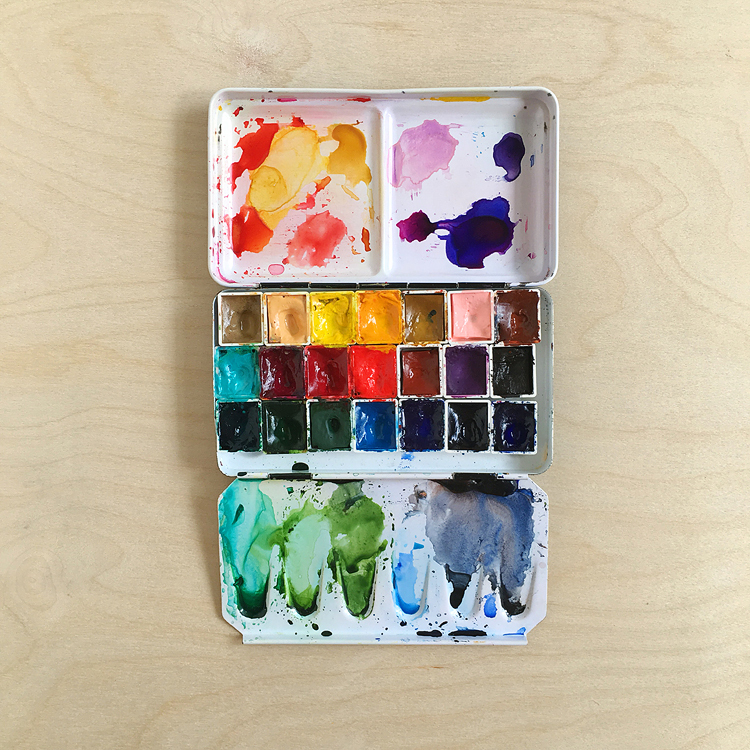 Both of these are in this Essentials set — it’s a great set to have if you’re just getting into watercolors. Finally, while things were still damp I splattered in some white! Then after everything was dry I added some of the cutest tiny star sequins and some larger ones too! Pro tip: I highly recommend using one of these jewel pickers and this glue for sequins. Can’t recommend them enough. Oh and the “happy birthday” sentiment is from the Flora & Fauna Woodland Birthday set — it’s so cute! And that was that. Can’t wait to give this to my niece! Treat yourself to a WCMD gift! Take 20% off all orders from the EllenHutson shop TODAY with the code WCMD18! Note that the discount applies to in-stock items only when code is applied. Not valid on previous purchases. Cannot be used on BCRF Fundraiser or Mama Elephant products less than 90 days old. Unable to combine orders. Sale ends October 6th, 2018 at 11:59pm PST! Also, these are my affiliate links so I’ll receive a small commission if you make a purchase following a link — thanks!